Trond Hodne, Senior Vice President at DNV GL – Maritime (left), and Per-Olof Schroeder, CEO, StormGeo, shake hands after the agreement to combine the fleet performance solutions of both companies under StormGeo’s banner was signed. 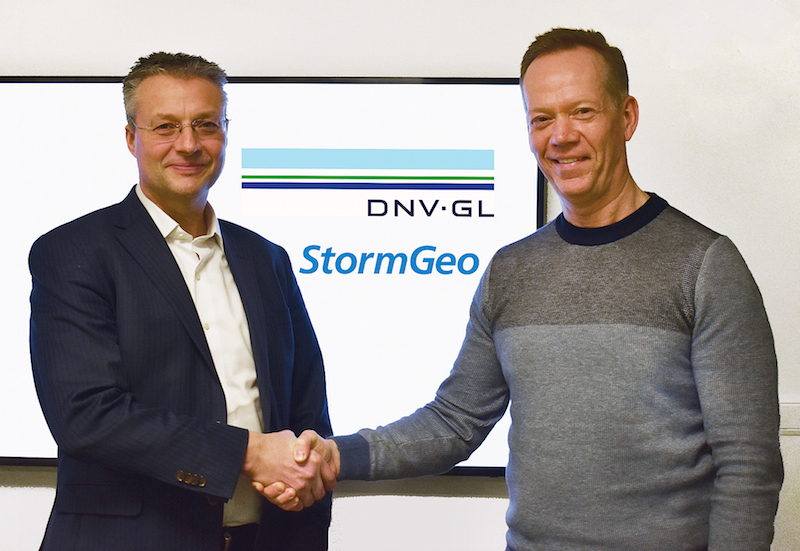 StormGeo and DNV GL announced today that they have signed an agreement to consolidate their fleet performance solutions under one banner. The agreement will combine DNV GL’s ECO Insight and Navigator Insight solutions with StormGeo’s FleetDSS and ship reporting solutions. By this a new industry leader in fleet performance management is created as part of StormGeo.